Hawthorn Hills Ranches is a low-maintenance community in Hawthorn Woods, Illinois. Respected builder Pulte Homes began construction in the community in 2016 and built 221 single-family homes. Homebuyers can choose from a variety of distinctive floor plans that feature beautiful ranch designs, luxurious fixtures, spacious layouts, and plenty of options for customization. Residents also enjoy the convenience of living in this community because a homeowners' association (HOA) fee includes lawn care. Although Hawthorn Hills Ranches doesn't provide a clubhouse, homeowners can take advantage of living in this low-maintenance community. Thanks to the HOA fee handling lawn care and common area maintenance, residents have more time to pursue new hobbies and activities at their leisure. They can go for a morning stroll or jog around the neighborhood for some exercise or spend time outdoors on a sunny day appreciating nature with 40 acres of preserved natural space throughout the community. There are also plans for an outdoor amphitheater at the community's park. Construction began in 2016 and Pulte Homes built 221 single-family homes in this community. 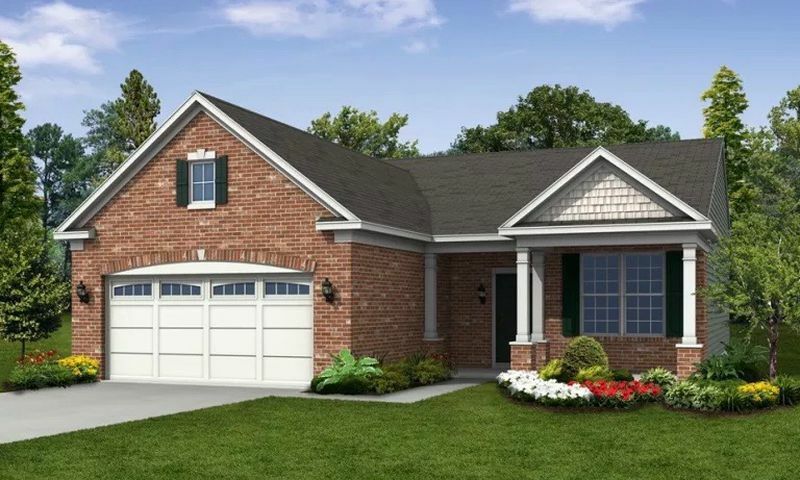 Homebuyers are able to choose from four distinct floor plans ranging in size from 1,785 to 1,953 square feet with two or three bedrooms, a den, two bathrooms, and attached two or two-and-a-half car garages. All feature energy-efficient designs, one-story living, open floor plans, spacious master suites, flex rooms, and optional second-floor bonus rooms or finished basements. Residents at Hawthorn Hills Ranches enjoy an exceptionally convenient location, close to shopping, dining, and transit. Quick trips for groceries are easy with Mariano's just four miles away. Five miles away in Lake Zurich there is a Trader Joe's, Costco, Target, and numerous retail stores and restaurants. Travel to and from nearby Chicago is easy with the Mundelein Metra Station just under three miles from the community. Chicago offers world-class museums, dining, shopping, summer festivals, and so much more. Other cultural attractions like the Ravinia Festival and the renowned Chicago Botanic Gardens are less than 20 miles away, making for easy day trips. When plans involve long-distance travel, O'Hare International Airport is 28 miles away. Hawthorn Hills Ranches by Pulte Homes offers an ideal location combined with quality homes in the Chicago Area. Check back soon for more information on the lifestyle in Hawthorn Hills Ranches. Homebuyers are able to choose from four distinct floor plans ranging in size from 1,785 to 1,953 square feet with two or three bedrooms, a den, two bathrooms, and attached two or two-and-a-half car garages. All feature energy-efficient designs, one-story living, open floor plans, spacious master suites, flex rooms, and optional second-floor bonus rooms or finished basements. 55places.com is not affiliated with the developer(s) or homeowners association of Hawthorn Hills Ranches. The information you submit is distributed to a 55places.com Partner Agent, who is a licensed real estate agent. The information regarding Hawthorn Hills Ranches has not been verified or approved by the developer or homeowners association. Please verify all information prior to purchasing. 55places.com is not responsible for any errors regarding the information displayed on this website.